Lock Out Tag Out (LOTO) safety signs advise employees of potential dangers. Using the LOTO procedure ensures that dangerous machinery / equipment are properly shut off and not unexpectedly/accidently started up prior to the completion of maintenance or servicing work. 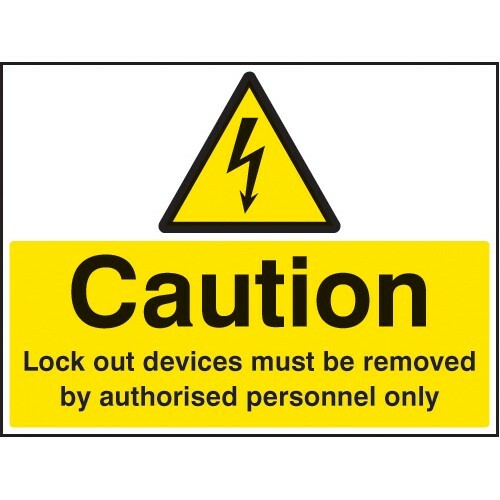 This particular LOTO safety sign reminds and advises employees that LOTO lock out tag out devices should only be removed by authorised personnel.